I hate to admit it but it's true, hubby and I are addicted to playstation. In our early years when we still can't afford to buy a playstation and we still don't have any internet at our rented house, we have this family computer wherein we play the old games like Mario brothers and hunting the duck. I really enjoyed it and you could imagine the sweat in my body when I am trying to kill those flying ducks. 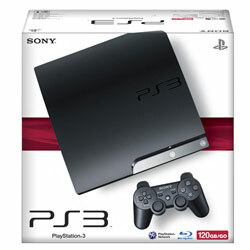 So, when I have heard that their is a new playstation 3 I can't help myself not to be amazed. Forgive me if i am a game addict but it's truly our nature. Just as the saying goes, there is always something inside of you that makes you feel young and whenever I am holding the game stick, I feel like I am 12 years old forever.